*WARNING: This review contains one major spoiler. However, I was spoiled with this same twist before watching the film and it did not ruin my viewing experience at all. When an influential local figure who is well-known and highly respected in a community dies, it’s natural for many to mourn the loss. But when such a figure is shot in a dark street, the community can descend into chaos. 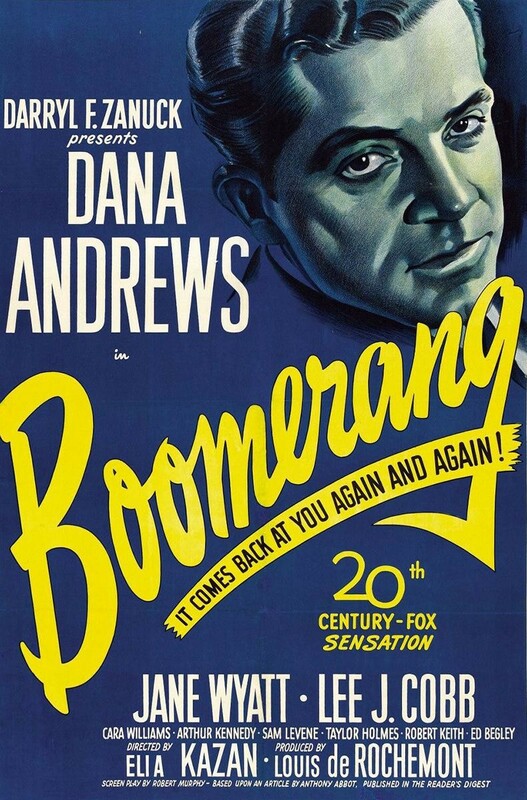 So is the case in Boomerang!, a crime drama centered around the death of the well-loved Father Lambert and the trial that results. After showing the crime itself, the film briefly delves into the Father’s background before focusing on the aftermath of his death. The investigation into what happened to Lambert is highly flawed, with pressure heightened by local media coverage and speculation. With narration that is news reel-esque in tone but dramatic in content, there is an obvious documentary influence to the film, which is reportedly based on a true story. 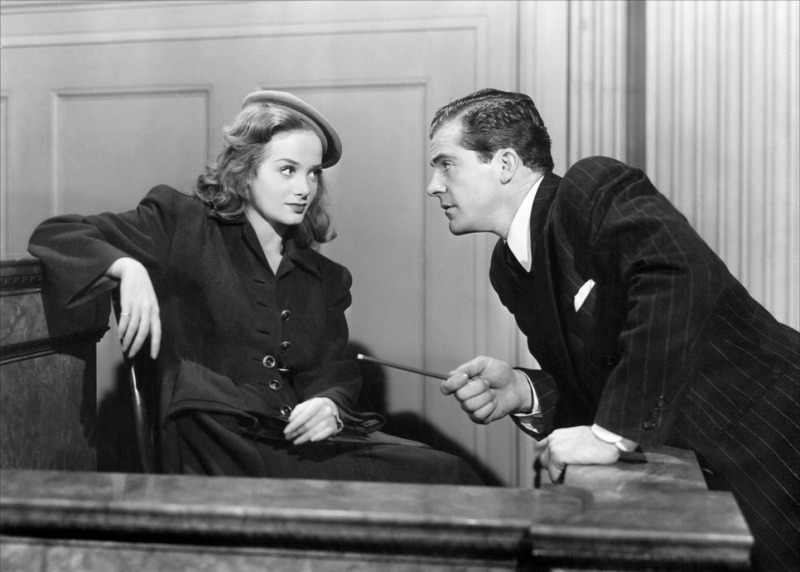 Directed by the fantastic Elia Kazan, the film stars Dana Andrews as state’s attorney Henry Harvey, the only man who is willing to boldly take a stand when John Waldron (Arthur Kennedy) is wrongfully accused of killing Father Lambert. Kazan, crime drama and Dana Andrews? These are all things that bring high expectations to the film, and it does not disappoint. Andrews, of course is the most impressive. Not only is his performance solid, but his character is simply a great human being. While he gives into the accusations that are being thrown at Waldron at first, he undergoes a very natural transformation to side with the truth. He is not willing to give up on what he believes is right, even under immense pressure from the community and his superiors. Media pressure and the prominence of the victim throw the investigation completely off track. The officers care more about having a conviction than whether or not they are convicting the actual murderer. This serves as an example of how the justice system can go so very right when people (such as Andrews’ character) are willing to step up against corruption, and at the same time a cautionary tale of how very wrong it is most of the time, especially when speculation runs so rampant.